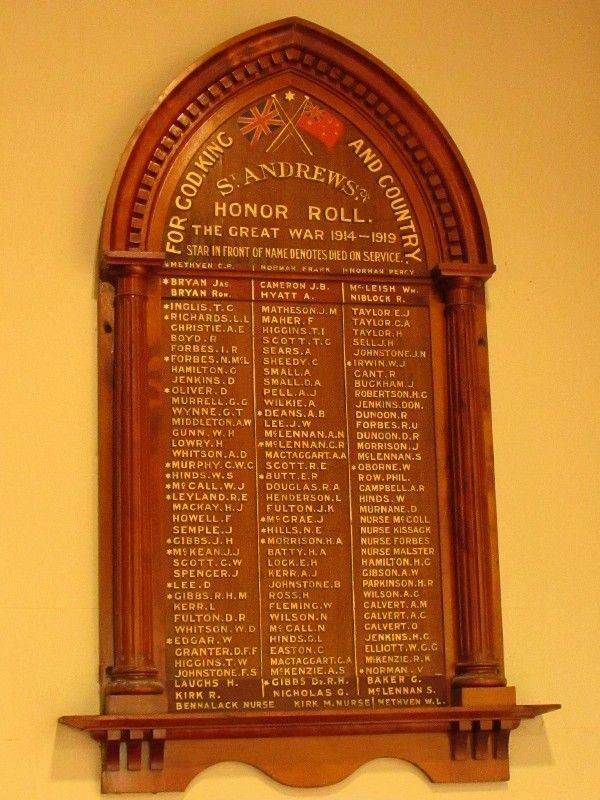 St Andrews Presbyterian Church Honour Roll commemorates men and women from the church who served in World War One. 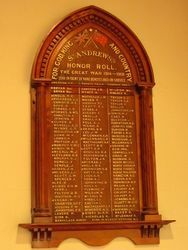 The roll was originally unveiled in 1916 with additional names being added to the roll at a later date. 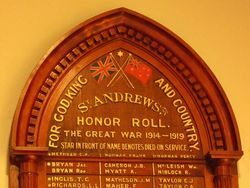 A national service for the unveiling of a roll of honor of those who have enlisted and who were associated with the church was held at St. Andrew's Presbyterian Church, Colac, on Saturday, when there was a large congregation. The service was of a patriotic nature, appropriate hymns being chosen, the choir rendering Professor Rentoul's Battle Hymn. The Rev. K. Forster read the names on the Honor Roll. The Colac Herald (Vic), 27 November 1916.